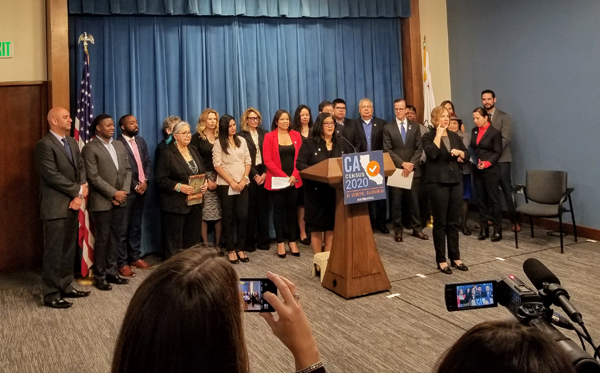 The California State Census 2020 Office announced its selection of additional partners organizations to encourage participation of all Californians in the U.S. Census Bureau’s 2020 decennial count. As one of the organizations targeting nine hard to count populations (including Native American and tribal communities), CIMC submitted a proposal and was selected to share in $4,000,000 that the State has allocated so far for demographic-specific outreach. 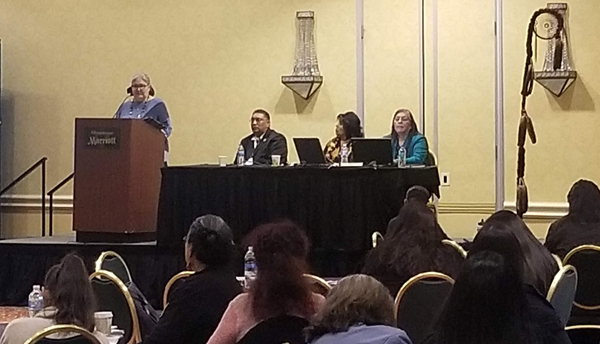 CIMC Executive Director Lorenda T. Sanchez had the opportunity to address the 2019 Western Regional WIOA/477 Training held February 18-21, 2019 in Albuquerque, New Mexico. The event was a gathering of workforce development professionals from Workforce Innovation and Opportunity Act grantees, Public Law 102-477 Training grantees, and representatives of federal partner agencies. CIMC staff and volunteers in attendance also included Elizabeth Fernandez, Carol Jennings, Jaynee Peters, and Teresa Marie Willson. The CIMC Elders Program provided Caregiver Training to 30 students at the Pala Casino Spa and Resort in Pala, California on February 7-10, 2019. Caregivers learned the skills needed to be a respite care provider. CIMC Chairman Benjamin Charley, Jr., along with CIMC staff and volunteers Charmaine Mix, Sandra Gillming, Christina Arzate, and Jaynee Peters, were in attendance. Michael Hunter, Chairman of the Coyote Valley Band of Pomo Indians (CIMC Member) with the ten eldest Elders in attendance. 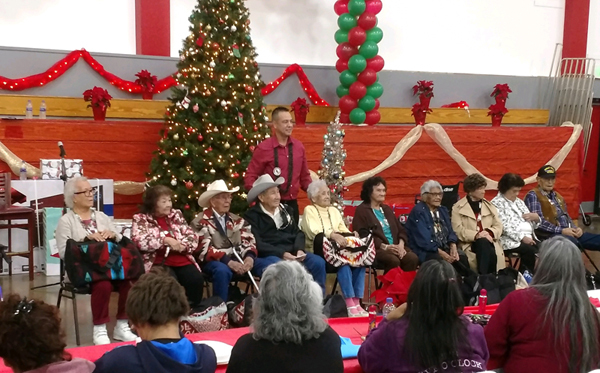 Elders from the CIMC Elders Program participating tribes had the opportunity to attend the 9th Annual Native American Elders Christmas Party on December 2, 2018 in Redwood Valley, California. The annual event, with more than 200 in attendance, was hosted by Hope 4 Natives, a nonprofit organization based in Ukiah, California. The party welcomed all Native elders (60+) with a catered lunch, bingo, and door prizes. Rachel Van Koughnet and Jaynee Peters from CIMC attended and provided CIMC Elders Program information to the attendees. CIMC staff and members of the CIMC Board of Directors had the opportunity to join with many community members for a memorial service for G. David Singleton on November 18, 2018 at the Davis Community Church in Davis, California. Board members in attendance were Benjamin Charley Jr., Stacy Dixon, Tanya Estrada, and Erna Smith. 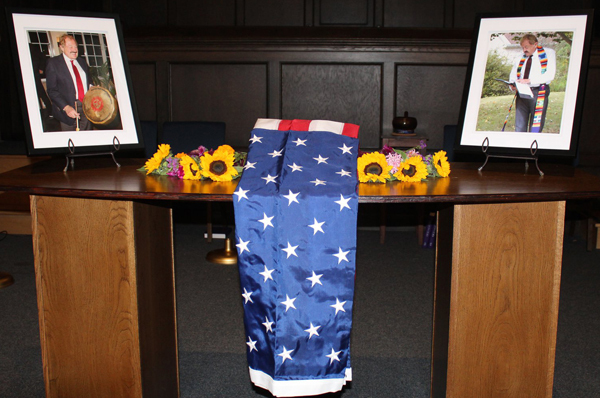 Members of the Big Sandy Rancheria Veterans of Foreign Wars Color Guard (Dirk Charley, Gene Charley, Benjamin Charley Jr., and Steve Archer) presented the colors and the United States Flag to the daughter and son of Mr. Singleton, who was a veteran of the U.S. Navy. CIMC staff had the honor of coordinating the meal for the gathering following the service. CIMC held the 40th Annual Membership on November 2-3, 2018 at the Pala Casino Spa Resort in Pala, California. This meeting was a time for members and other attendees to receive information and celebrate CIMC's accomplishments during the past four decades, which included a visual timeline of milestones and activities throughout the years. An important session on the 2020 Census was presented by Norm DeWeaver, an advocate for Native Americans, and Jessica Imotichey from the U.S. Census Bureau on Friday afternoon. Included in the meeting proceedings were recognitions of both current Board and staff for Years of Service. Board Member Kim Edward Cook was recogonized for five years of service, and a number of staff members were recognized for various years of service. Three staff members were recognized for 40 years of service: Diana Alvarez, Cleo Foeside, and Lorenda T. Sanchez. Member tribes and organizations received recognition for their years of CIMC membership. The Sacramento Geographic Service Area (GSA) was selected as the Outstanding GSA for Program Year 2017 and 34 members were named Outstanding Members for Program Year 2017. A presentation on the 4th Annual Gathering of American Indian Veterans was made by Joseph Podlasek, delegate from the Trickster Art Gallery. In addition CIMC made a special presentation to Jon Singleton and Marea Singleton Haslett in honor of their father G. David Singleton (1935-2018). Several past participants and a number of former members of the Board of Directors were welcomed by CIMC. Mr. G. David Singleton (1935-2018) was recognized at the CIMC 40th Annual Membership Meeting, held on November 2-3, 2018 at the Pala Casino Spa Resort in Pala, California for his many years of service to CIMC. He served as a member of the CIMC Native American Workforce Investment Council for the past five years, and for more than 30 years he served in other capacities for CIMC including consultant and volunteer. David's children Marea Singleton Haslett and Jonathan Singleton both traveled from the east coast to be present for this special recognition. Jonathan also participated, in his father's honor, with the Big Sandy Rancheria Color Guard to present and retire the colors. Both David and Jonathan are U.S. Navy Veterans. A compilation of photographs and tribute comments to David was shown as a PowerPoint. Memorial service, scheduled for Sunday, November 18, 2018 at 2:00 pm, will be held at the Davis Community Church, 412 C Street, Davis, CA 95616. The CIMC Elders Program hosted an Elder Caregiver Health and Wellness Conference on October 23-24, 2018 at the Black Oak Casino Resort in Tuolumne, California with 25 attendees. The conference consisted of an Elder wellness component (by Calvin Hedrick), a cultural activity (by Darla Pikyavit), a Medicare informational session (by Paula Holden, nutrition information, and training in wills and trusts. 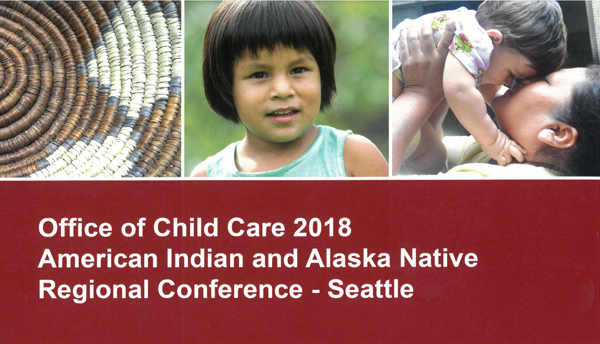 CIMC Child Care and Development Block Grant (CCDBG) Program staff traveled to Seattle, Washington for the Office of Child Care American Indian and Alaska Native Regional Conference, held on September 24-27, 2018. Ms. Sarah M. King and Mr. Jeff Morris took part in the Quality workshop track that included Exploring Ideas and Innovations for Quality Activities in AI/AN CCDF Program, Meeting Community Needs Through Quality Improvement, Developing Policies and Procedures for Improving Quality, Building Quality with Effective Program Budgeting, and Prioritizing Quality Goals through Strategic Planning. The Conference, which included programs from seven states, was presented by the Office of Child Care, Administration for Children and Families, U.S. Department of Health and Human Services, in cooperation with the National Center on Tribal Early Childhood Development, a Service of the Office of Child Care. 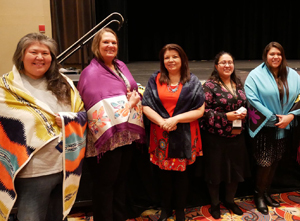 CIMC made it possible for 19 elders from the CIMC Elders Program participating tribes to attend the recent 21st National Indian Council on Aging (NICOA) Biennial Conference. 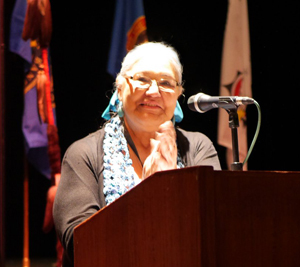 The 2018 NICOA Conference on Aging in Indian Country was held at the Pechanga Resort and Casino in Temecula, California on September 10-13, 2018. CIMC Board of Directors Chairman Mr. Benjamin Charley, Jr. was one of the veterans honored at the Veterans Honoring Luncheon and is the newly elected Treasurer for the NICOA Board. Other CIMC Board Members in attendance were Ms. Jackie WiseSpirit, Ms. Barbara Bird and Ms. Roseanne Moose. 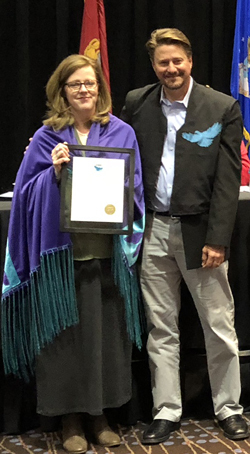 Ms. Dina Nachor, representing the Tejon Indian Tribe (CIMC Member) was selected to receive the Caregiver Award, one of the three NICOA Honoring our Elders Awards. Also in attendance were CIMC Executive Director Lorenda T. Sanchez, CIMC Elders Progam staff Charmaine Mix and Sandra Gillming, and CIMC Escondido Field Office staff Christina Arzate. CIMC volunteers in attendance were Jaynee Peters and Tonya Mix-Baltazar. CIMC Executive Director Lorenda T. Sanchez, and Field Operations Supervisor Eric Cooper served as part of the panel for the "Creating Client-Centered Career Pathway Programs that Respond to Local Employment Needs" session to present information on the CIMC Native Entrepreneur Training Program at USDHHS Administration for Children and Families, Office of Family Assistance Regions IX-X Tribal TANF Technical Assistance Meeting. The meeting was held in Suquamash, Washington on August 21-23, 2018. Also in attendance was Deanna Quintana, Workforce Development Coordinator, CIMC Redding Field Office. CIMC staff member Teresa Marie Willson, representing the CIMC Census Information Center (CIC) had the opportunity to meet with other representatives of CICs located throughout the Nation. This annual training conference provides CIC network members with training and technical support on Census Bureau data products and services. 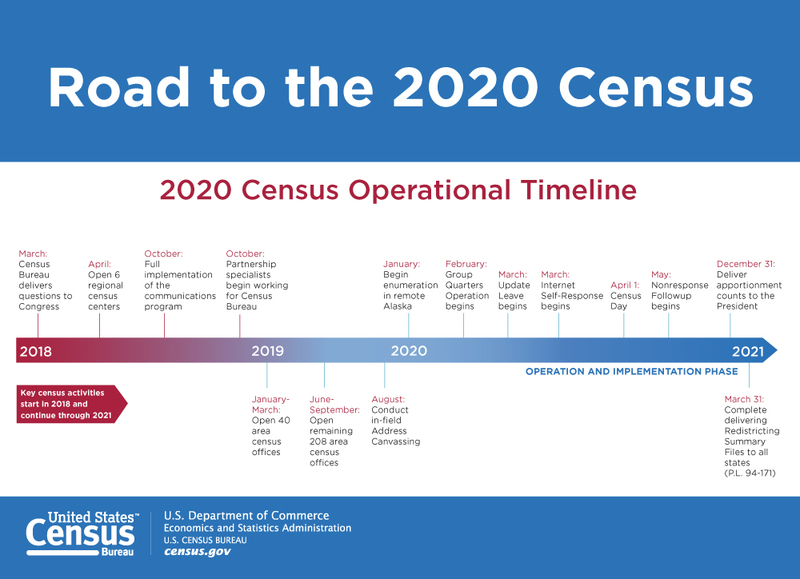 This year's training, held in Kansas City, Missouri on August 22-24, 2018, focused on preparations for the decennial 2020 Census. 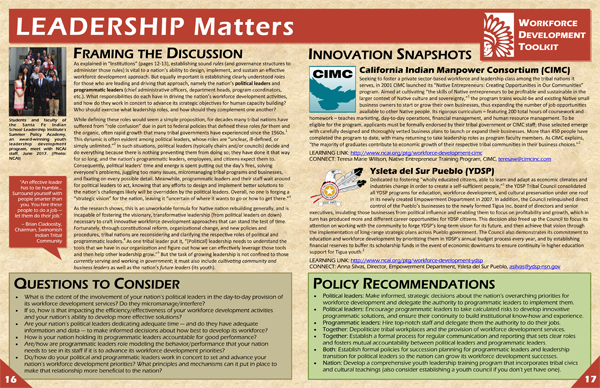 The CIMC CIC is one of 52 nonprofits nationwide and one of five American Indian and Alaska Native organizations serving as a CIC. 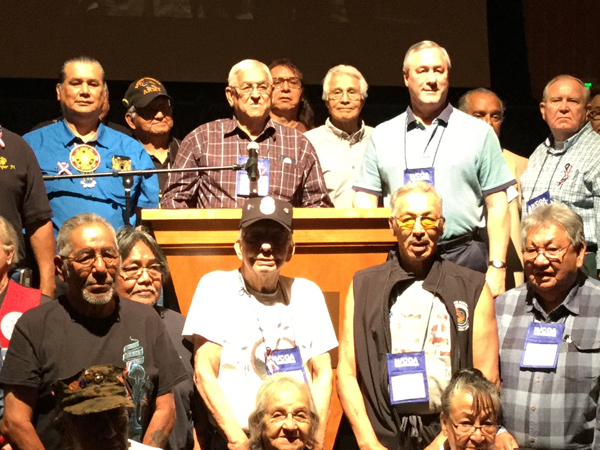 CIMC Board of Directors Chairman Benjamin Charley, Jr. (US Marine Corps veteran) along with the Big Sandy Rancheria of Mono Indians-Veterans of Foreign Wars Color Guard, and CIMC Executive Director Lorenda T. Sanchez traveled to Illinois for the 4th Annual National Gathering of American Indian Veterans on July 20-22, 2018. This is a yearly event held in the summer at Cantigny Park in Wheaton, Illinois and is hosted by the Trickster Art Gallery (CIMC Member) This three-day event honors veterans and military personnel of all cultures, eras, and branches in a Native way. Gathering included special panels led by veterans and veterans service providers on topics ranging from traditional health and wellness, working with the VA, jobs and economic development for veterans after service, and more. The CIMC Elders Program Caregiver Health and Wellness Conference had 25 attendees. In addition to training in elder wellness and nutrition, attendees received MIPPA and Wlll & Trust training. The conference was held at the Diamond Mountain Casino Resort in Susanville, California on July 17-18, 2018. The CIMC Career Pathways for Youth Program, partnering with The NBCUniversal Foundation, recently hosted the "Hack the Rez" Coding Boot Camp for youth. Through this training, 23 youth received website development training and each launched their own website. Each youth who completed the training were provided with a Mac laptop computer, purchased with funding from the Macdonald Foundation. Training was provided by General Assembly. The Boot Camp was held at the Pala Casino Spa Resort on June 25-July 3, 2018. 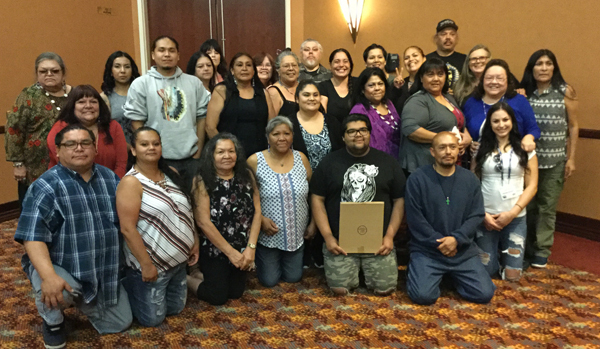 The CIMC Elders Program provided Caregiver Training to 26 students at the Gold Country Casino & Resort in Orovile, California on April 20-23, 2018. Caregivers learned the skills needed to be a respite care provider. Graduates of the 2018 CIMC Leadership Training for Entrepreneurial / Small Business / Economic Development class were honored with a graduation banquet at the Thunder Valley Casino Resort in Lincoln, California on April 25, 2018. See Media Releases for each Graduate. 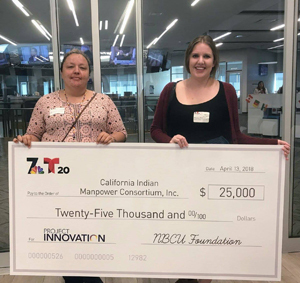 The NBCUniversal Foundation has awarded a $25,000 grant award which will allow CIMC to host Hack the Rez, a seven day coding boot camp for Native youth, 16-24 years of age. The boot camp will be held on the Pala Reservation and is co-hosted by the CIMC Escondido Field Office and the CIMC Career Pathway for Youth Program. See Training Flyer for location and date. 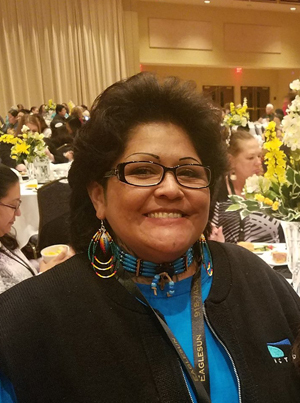 Ms. Lorenda T. Sanchez, CIMC Executive Director, was re-elected as the Treasurer for the National Indian and Native American Employment/Public Law 102-477 Training Conference. Elections were held on April 11, 2018. CIMC had the opportunity to participate in honoring Ms. Tessa Smith as one of four Outstanding Participants at the 39th National Indian and Native American Employment / Public Law 102-477 Training event held at the Paragon Casino Resort in Marksville, Louisiana, April 8-13, 2018. Ms. Smith, a member of the Pala Band of Mission Indians, was accompanied by Ms. Christina Arzate from the CIMC Escondido Field Office. Ms. Arzate nominated her for this prestigious award in recognition of her remarkable progress as a participant of the CIMC Workforce Development Program, under the federal Workforce Innovation and Opportunity Act. 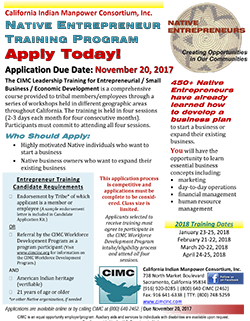 CIMC has announced training dates for the 2018 Leadership Training for Entrepreneurial / Small Business / Economic Development. Locations will be announced. Applicants selected to receive training must attend all four sessions to receive certification. Applications are due November 20, 2017. 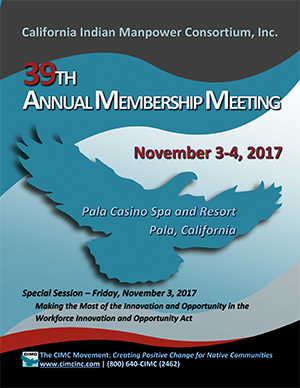 The 39th Annual Membership Meeting of the California Indian Manpower Consortium, Inc. will be held November 3-4, 2017 at the Pala Casino Spa and Resort in Pala, California. Delegates from member tribes and organizations will gather to gain valuable information for their communities and to celebrate the accomplishments of Program Year 2016. 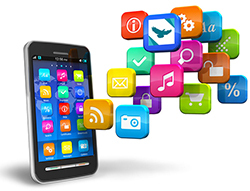 CIMC recently launched the CIMC Mobile App. Users may call directly or email each CIMC Field Office, or receive map directions to each office. Individuals who download the free CIMC Mobile App will also have the option to receive push notifications that will send messages about upcoming job trainings, available job openings, and upcoming events directly to their mobile devices (iPhone, iPad, Android, and Blackberry). CIMC Delegates can receive updates on programs for their communities. Grant funding for the development of the CIMC Mobile App was received from the Sierra Health Foundation, an independent foundation committed to supporting health-related activities in Northern California. 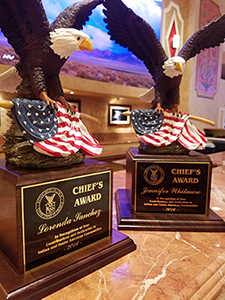 CIMC Executive Director, Lorenda T. Sanchez and CIMC MIS Specialist, Jennifer Whitmore, were each recognized for contributions and dedication to the Indian and Native American (INA) communities by the U.S. Department of Labor, Division of Indian and Native American Programs. 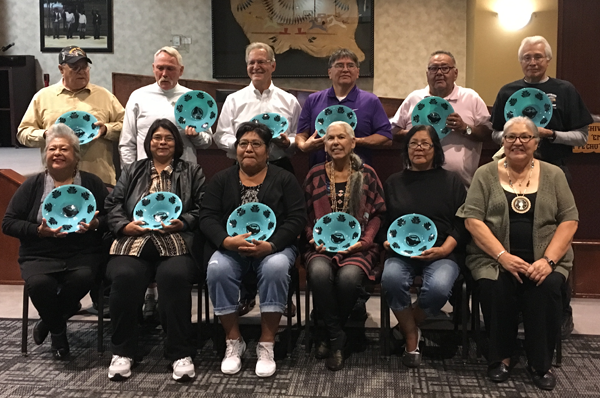 They were honored at the 37th National Indian and Native American Employment / Public Law 102-477 Training event held in Reno, Nevada, August 21-25, 2016. The Chief's Award is the Division's top award for INA grantees.